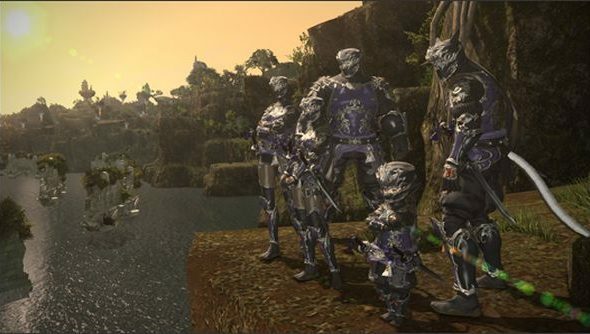 Patch 2.4 for Final Fantasy XIV: A Realm Reborn is bringing with it a new class in the form of a Rogue, and a new “Ninja” job too. Rogues will use knives and daggers while they remain in the shadows. Ninjas on the other hand aren’t your stereotypical type: they’re able to use powerful energies through “signs” to manipulate the battlefield. You’ll be picking up the Rogue class in Limsa Lominsa, where they patrol the back alleys to preserve order. Rogues are a more in-your-face combatant, utilizing rapid strikes and deft movement to defeat their enemies. Unlocking Ninja will ask you to get the Rogue class to level 30, and an unannounced class to 15. You’ll then begin a series of quests to unlock all of their abilities. They don’t solely rely on melee combat, instead they’re able to catalyse the natural energy around them to manifest their power.